We have recently lost two people very familiar to people who were adventure gamers in the 1990's. 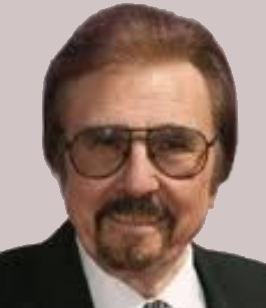 Gary Owens, the narrator of Space Quest 4 and 6 passed away on February 12th. 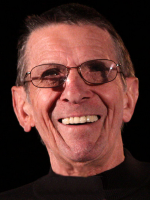 Leonard Nimoy, who played his most well known character Spock in the adventure games Star Trek: 25th Anniversary and Star Trek: Judgment Rites, passed away on February 27th. Gary Owens was set to reprise his role as narrator in SpaceVenture, but his health declined before he could record his lines. He did record a humorous "narrator auditions" advertisement for that game, which you can hear here, and did an interview with Chris Pope about the project and his time on Space Quest, which you can hear here. Both actors were terrific in all of their roles and will both be sorely missed. He was definitely great as the narrator in Space Quest 4 and 6. He was so great at the role that whenever I played the Space Quest games that weren't narrated, I could hear his voice in my head when I read the text and really wished that they had been voiced by him too. I haven't yet played the adventures set in the world of the original Star Trek series, but I've always meant to since I read that they were quite good. Now that Leonard Nimoy has passed away I feel that I should finally give them a play in his memory.